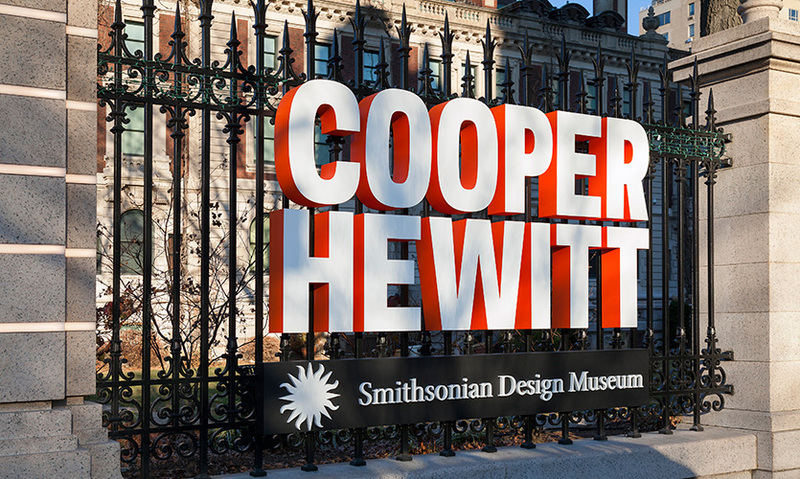 To accompany the renovation and expansion of the Cooper Hewitt, a vibrant signage and environmental graphics program was developed for the museum's exterior and interior. The donor wall at the 91st Street entrance is carefully suspended from the landmark interior. Gallery donor names float in front of walls and are cut from stainless steel. 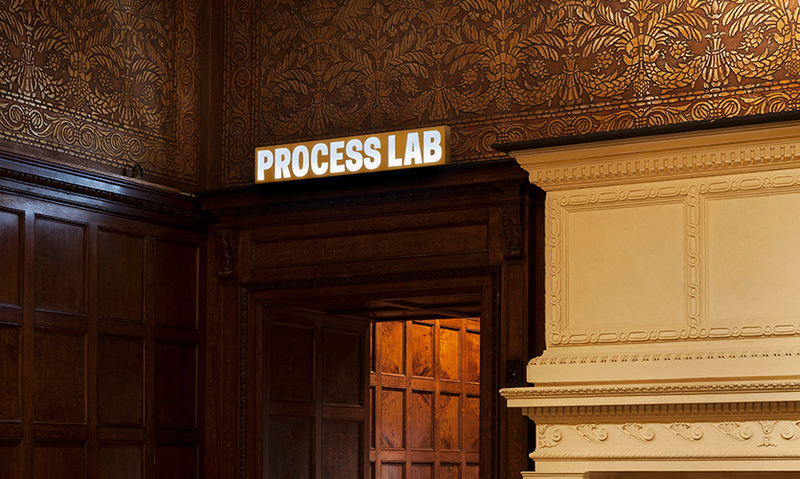 A glowing sign floats above the door of the "Process Lab," a dynamic new interactive space. Large-scale graphics mark each level of the new contemporary staircase. Colorful directories, with changeable magnetic panels, highlight the exhibitions on each floor. Bold, utilitarian wayfinding and the timeline of the Andrew Carnegie Mansion's history. Exterior signage at the Shop Cooper Hewitt / Cooper Hewitt Cafe entrance. 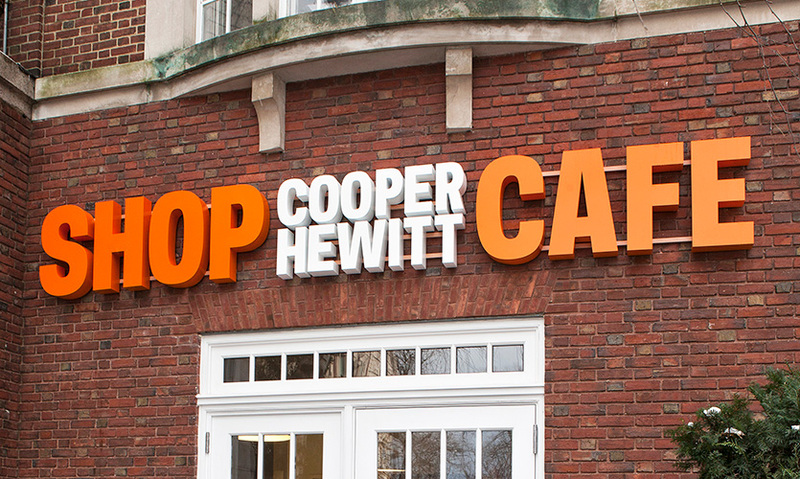 Michael Gericke and his team developed a vibrant and contemporary signage and environmental graphics program for the Cooper Hewitt’s exterior and interior. 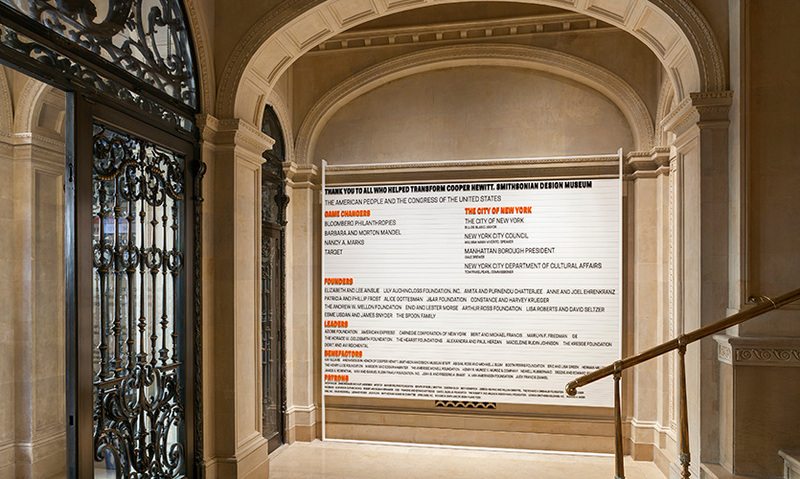 The program includes the exterior identity, exhibition directories, wayfinding, and donor recognition graphics. 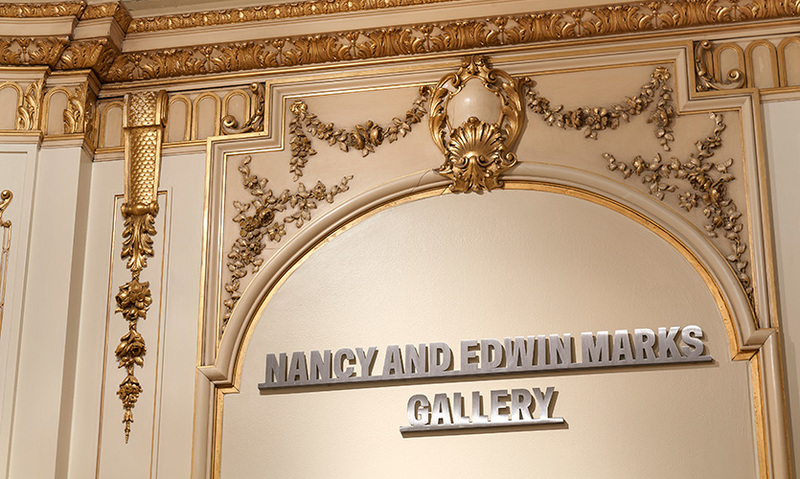 The Andrew Carnegie Mansion is a historic landmark and cannot be physically altered, so the designers found ways to creatively integrate the signage into the building in an impactful but non-intrusive way. The revitalization of the museum included a major expansion and renovation developed in collaboration with Gluckman Mayner Architects and executive Architect Beyer Blinder Belle, with Diller Scofidio + Renfro designing the casework and initial configuration of the movable display cases for the exhibitions in the first and second floor galleries, the new visitor services desk, the new SHOP Cooper Hewitt, and the new 90th Street entrance canopy. 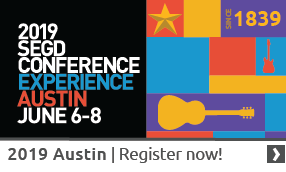 Local Projects focused on the design and production of the interactive media experiences. "Careful consideration was taken to infuse a bold, clean and simple identity into a historic landmarked and extremely ornate building. A challenging project, which was executed with conviction and bravery!" 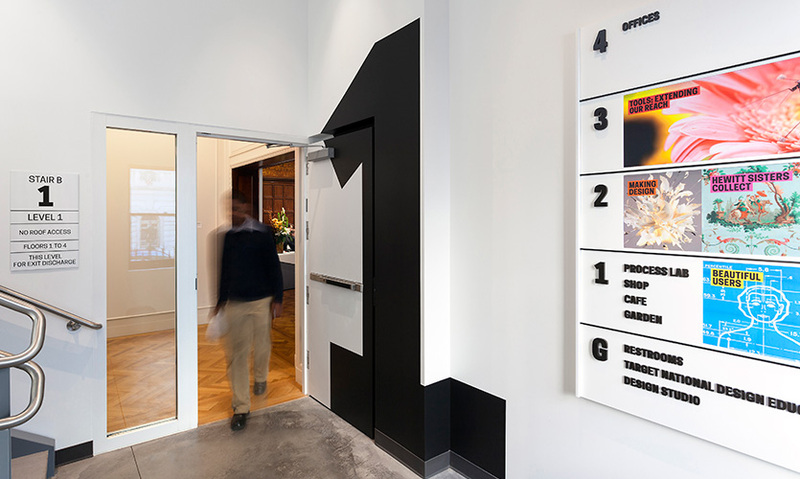 "The new exterior and interior wayfinding program is a bold approach and a statement to design in the newly reopened C.H., Smithsonian Design Museum. 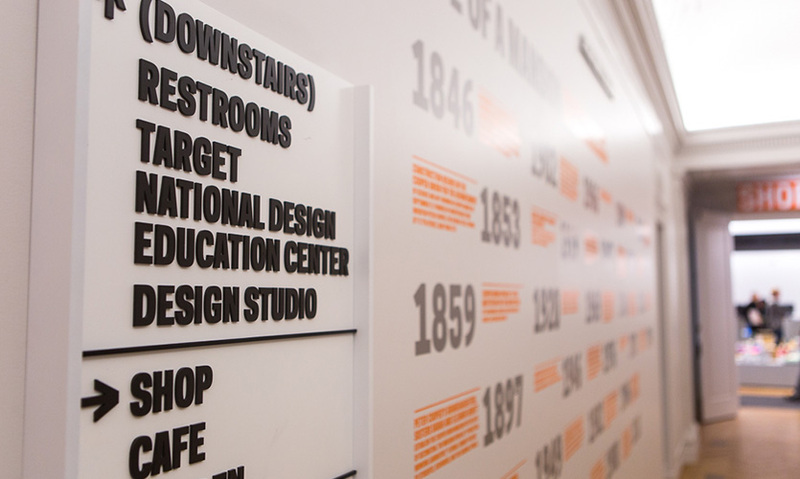 The wayfinding program uses a modern custom made sans serif font and the color orange that creates a contrast to the restored historic Andrew Carnegie Mansion. But it is the positioning and balance between the old and the new that makes this program work."